In recent weeks, authorities have made more than 35 arrests related to narcotic drugs in the Fort Scott, Kansas area and throughout Bourbon County, according to a recent news article at The Fort Scott Tribune. Over the weekend, two women were arrested by the Fort Scott Police Department, bringing the tally thus far in the investigation to 37. Agencies participating in the drug investigation include the FSPD, the Bourbon County Sheriff’s Office, and the KBI Drug Task Force. The two women arrested over the weekend include 30-year-old Maria Elena Durbin and 24-year-old Brianna M. Page. Both of the women were charged with unlawful possession of a controlled substance by a communication facility after being taken in to custody on arrest warrants. Prior to these most recent arrests, the KBI, BCSO, and FSPD arrested 30 individuals on May 12 and five individuals on May 13. All were charged with unlawful possession of controlled substance using a communication facility and violating Kansas Statute 21-5707(a)(1). Some of the individuals also face additional charges. Communication facility means any form of communication including telephone, pagers, computer networks, beepers, wire, radio, etc. whether private or public instruments used to transmit sounds, signals, signs, writing (such as text) pictures, or any communication. As of Monday, May 18, the investigation was still ongoing, although FSPD Capt. Shaun West said he could not comment on the details, as more arrests are expected in the near future. Many of those previously arrested have been released on surety bonds, although two people remain in the Southeast Kansas Regional Correctional Center, including 52-year-old Linda Marie Jones who is held on a $15,000 surety bond, and 32-year-old Avious Bernard Steadman who is held on a $16,250 surety bond. In Kansas, possession of narcotic, opiate, or stimulant substances is a felony that can result in several years in prison, along with fines of up to $100,000. The criminal penalties for a conviction on any drug offense are harsh all over the U.S., as lawmakers continue their efforts to crack down on drug offenders and take them off the streets. 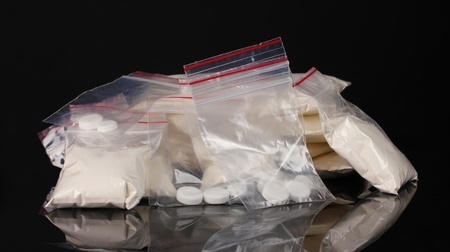 In the state of Michigan, penalties are particularly harsh for those found guilty of various drug crimes, including possession, manufacture, or distribution/delivering. In most cases, the criminal penalties a person will face depend on the type and amount of drug involved, and his/her criminal history. Factors such as whether weapons were present or if the alleged crime took place in certain areas such as close to a school, park, or home may also impact the outcome. If you have been charged with possession of narcotic drugs, marijuana, or any illegal substance or are under investigation, contact an experienced Michigan drug crime lawyer right away. Drug crimes incur some of the harshest penalties of all crimes, and there are various legal options you may not be aware of such as drug court and diversion programs. When your freedom and future may be in jeopardy, put your case in capable hands.